If you or a loved one has been injured on someone else’s property, it is possible that the property owner may be liable for any expenses incurred as a result of the accident. Florida property owners have a legal duty to maintain their premises, meaning that they must keep their property safe for others. This duty extends further than a basic requirement to clean and maintain the property because it encompasses a duty to make that property reasonably safe for visitors who otherwise might be unaware of any unsafe conditions. This duty can also include a responsibility to warn visitors of potentially dangerous conditions. The Margate premises liability attorneys at Gonzalez & Cartwright, P.A. 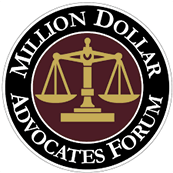 have successfully advocated for clients injured in premises liability cases for over a decade, and we have been recognized for our exceptional legal services by Super Lawyers, Top Latino Lawyers, and the Million Dollar Advocates Forum. While we pride ourselves on upholding our clients’ rights, our attorneys provide more than simple legal representation. We are actively involved in our community, offering authentic support for important issues through our involvement in community organizations. 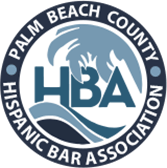 Our attorneys work diligently to keep clients apprised of the progress of their cases, and we offer personal attention in a fully bilingual office environment to better serve our clients. Business invitees: An individual is classified as a business invitee if he or she entered the property for the purpose of conducting some sort of business. This classification encompasses individuals who enter property to shop, dine, or even repair residential property. Property owners have the highest duty of care with respect to business invitees, and they must inspect the property to identify dangerous conditions, as well as warn visitors of the potential dangers. The duty to inspect generally means that property owners are liable to business invitees for any dangerous conditions that they reasonably should have identified, even if they did not actually discover the safety hazard. Licensees: A licensee is an individual who enters property with the permission of the property owner but who is not present to conduct business. A guest who is invited to a party or other gathering is typically classified as a licensee. Property owners have a duty to keep their property safe for licensees, but they can only be held liable for dangerous conditions of which they were aware. Trespassers: Trespassers have no legal right to be on the property, which reduces the property owner’s burden to provide safe conditions. Property owners have no duty to warn a trespasser of dangerous conditions, unless the property owner has actual or constructive knowledge of the trespasser’s presence on the property. Why Choose Gonzalez & Cartwright, P.A. to Protect Your Rights in a South Florida Premises Liability Injury Case? Dangers or hazards existed on the property in question. The owner was aware of the danger, or reasonably should have been aware of the danger. The owner failed to eliminate the dangerous condition and failed to adequately warn visitors of the danger. At Gonzalez & Cartwright, P.A., we offer a free initial consultation to each of our clients, during which we will provide you with our honest and straightforward opinions regarding your premises liability case. Contact our offices at 561-533-0345, or toll free at 888-888-3903, to schedule an appointment with an experienced personal injury attorney today. We have our main office located at 813 Lucerne Ave, Lake Worth, FL 33460, as well as an office in Pompano Beach, Florida. FAQ: The property owner is disclaiming liability for my injuries because they said I was trespassing at the time the injury occurred. Is it possible to recover compensation? One issue that often arises in premises liability cases involves disagreements over whether the injured individual was a licensee or trespasser on the property. An experienced South Florida premises liability lawyer can identify potential arguments for recovering compensation even if you are accused of trespassing at the time the injury occurred. For example, if a child was injured, the property owner has a heightened responsibility to secure property features that may qualify as “attractive nuisances,” such as ponds, swimming pools, trampolines, etc. In trespassing cases, we can also work to prove that the owner either caused the danger itself, or that the owner was actually or constructively aware of the trespasser and failed to provide adequate warnings. FAQ: What if I am injured while visiting a friend’s house, and I know that they lack the funds to compensate me for my injuries? Premises liability lawsuits can stem from injuries that occur while visiting a friend or family member as an invited guest. Our attorneys understand that these cases may be uncomfortable because the injured party might not wish to sue his or her loved ones. Typically, it is the property owner’s insurance company that will pay any required compensation associated with a premises liability claim. Our attorneys can further discuss these issues with you if you are reluctant to proceed with your premises liability case.